Una Vida Para Cristo: Celebration! I'm not sure whether our circumstances have improved, or just our outlook, but either way, things are going much smoother than the last time I wrote. 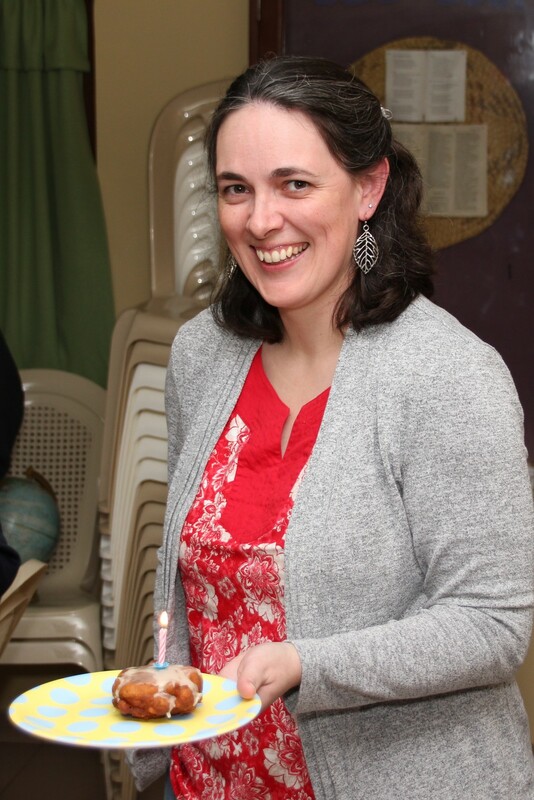 However, please continue to pray for the staff of Etnos - there are lots of health issues right now!! Colds, flus, dengue fever, and two ladies with broken arms within 5 days! Anne said, "I guess I started something." We have important reasons to celebrate this week! We celebrated Kaylee's birthday yesterday. It turned out well, although not at all like we had planned. One of our coworkers fell and broke her arm at the wrist and Kaylee spent a good chunk of the afternoon helping with that situation. All in God's plan, right? Instead of a birthday cake, she got an apple fritter with a candle in it! 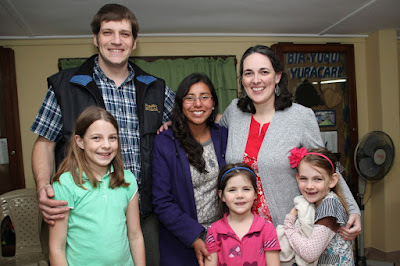 Our other reason to celebrate is that our friend Eliana, an Etnos alumna from La Paz, is moving to Urubichá today! A new missionary moving into a village to begin ministry is always a reason to celebrate, but for Kaylee and I, this is doubly special. Eliana is the first one of "our" students to make the leap of faith into indigenous ministry. 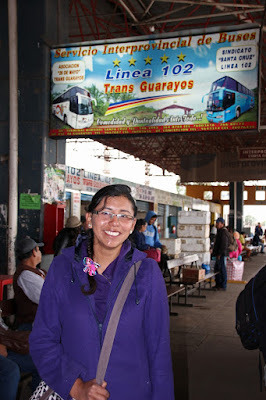 So as she begins studying to learn the Guarayo culture and language, she will be applying the things we have taught her. Yikes! We are excited to see how the Lord uses her. 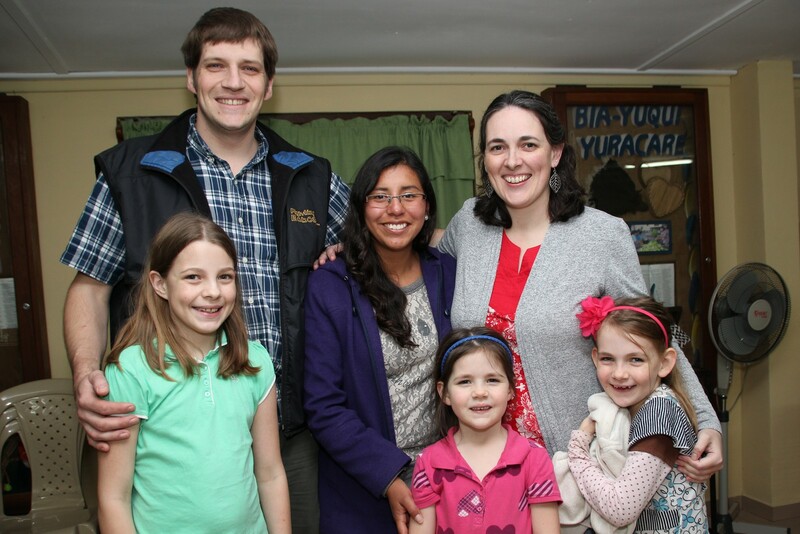 Please pray for Eliana as she makes this transition and begins an exciting new adventure! At the bus terminal, ready to go!